This little prize, one of only 500 made, was lifted from the Finning Caterpillar dealership in the U.K. last month. 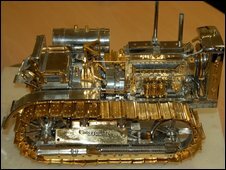 It’s a diamond-encrusted scale model of a Cat 60 bulldozer. More at this BBC brief. The 979B mining truck appears to be the closest thing to a celebrity in Caterpillar’s equipment lineup (not counting the armor-plated dozers used to implement Israeli justice on their tormentors). This video I found online amounts to a free ad for the behemoth, though the $5.5 million price tag makes the universe of potential purchasers rather small. There’s some confusion over whether this is the world’s largest truck. One commenter at the thread linked to the YouTube video above says the biggest is the Liebherr 282B, which has 50 tons more capacity, he says. There’s a project under way to automate these beasts and run them robotically. It seems to me there couldn’t be enough of them the world to justify the millions it would cost to develop the technology — wouldn’t it be cheaper to just pay drivers? — but I read somewhere that large mines in remote locales that actually use giant off-highway trucks have a hard time finding anybody willing to drive them. Theoretically, it could make work sites safer as well. EquipmentManager is a secure, web-based application that uses key indicators from equipment such as hours, location and diagnostic codes. Combined with tools such as mapping, maintenance scheduling and troubleshooting instructions, EquipmentManager quickly sorts through machine data to identify events that require attention and delivers information in a meaningful and actionable manner. Using satellite technology, Product Link is the hardware that enables information flow between onboard systems and EquipmentManager. The remote management system provides machine location and hours, as well as time and geo-fencing capabilities. While Product Link is not really an operator training tool, it can be used to determine when corrective action must be taken by monitoring operator activity. This also helps extend equipment life. Sure, blame it all on the operators…. Anyway, it’ll be technology like this that gives Cat an edge when the economy turns around. 988H Fuel management system: Boosts fuel economy in 988H wheel loaders. 933K wheel loader: New size category, loads those monster off-highway trucks. 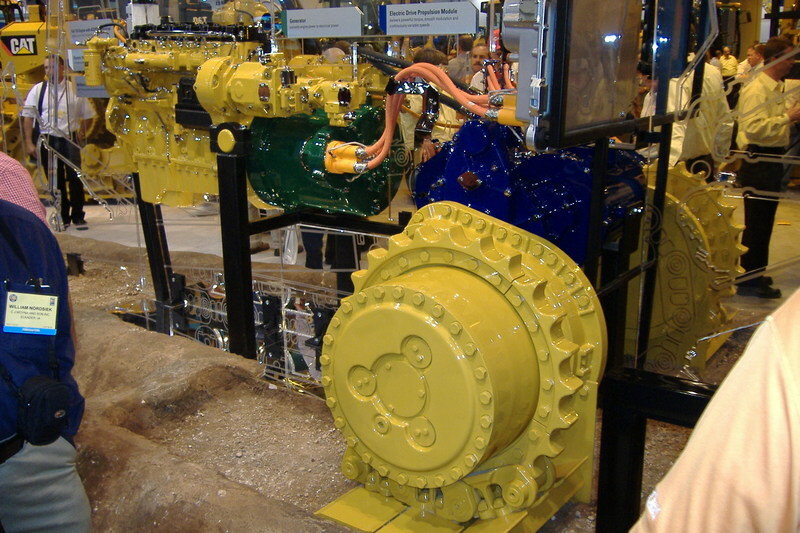 D7E dozer: The new diesel-electric dozer Caterpillar is introducing next year. C-Series compact track loaders. Tough mini-track-type loader. 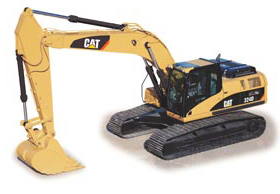 D-Series mini-excavator: Powered-up replacement of C-series excavators. Paving compactors: Another upgrade in Cat’s line of asphalt rollers. One thing the list drives home: There is tons of competition in the heavy-equipment industry. And lots of cool stuff happening, like Bobcat developing a skid-steer remote control and Deere building a high-speed dozer on tracks that look like something out of Star Wars.